KAFKA ON THE SHORE. Photo by Takahiro Watanabe. Friday, July 24 at 7:30 p.m.
Saturday, July 25 at 7:30 p.m. 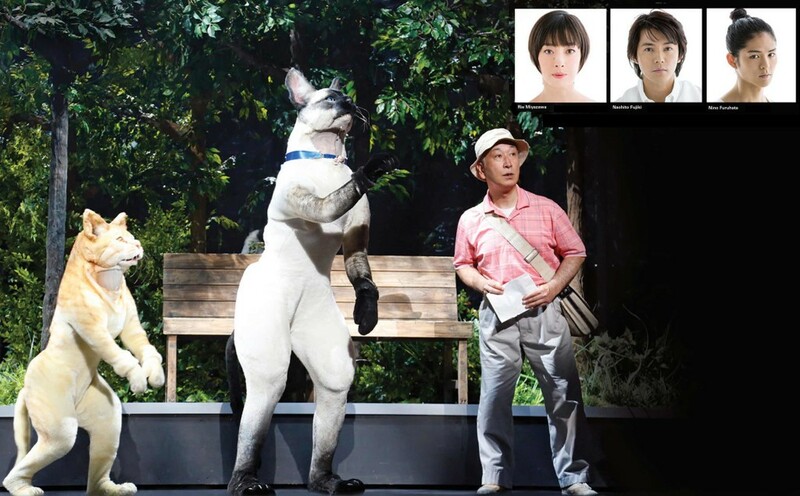 Encounter famed Japanese novelist Haruki Murakami’s blend of magical realism, suspense, humor, and sensuality as only the renowned director Yukio Ninagawa – who celebrates his 80th birthday this year – could realize it. His sweeping cinematic treatment and ensemble cast led by Japan Academy Award–winning star Rie Miyazawa (The Twilight Samurai) and noted actors Naohito Fujiki and Nino Furuhata bring this bestselling text to resplendent visual life. In a tale of two parallel journeys, 15-year-old Kafka and an imaginary friend run away from home in search of his estranged mother and sister and to escape an Oedipal curse. His journey runs side by side that of a fellow searcher – an old man with uncanny abilities seeking a magical stone he believes will offer divine guidance. As their odysseys entwine in modern-day Japan, reality, dream, and myth converge in an allegorical tale that resonates viscerally but resists logical explanation. For more information and to purchase tickets, please visit Lincoln Center Festival’s website.